Britain's Prince Charles says populism risks return to "horrors of the past"
Britain's Prince Charles said on Thursday the rise of populist groups across the world had deeply disturbing echoes of the fascism of the 1930s, and warned against a repeat of the "horrors of the past" to prevent religious persecution. The heir to the British throne, who plans to take the title Defender of Faith when he becomes King in an effort to unite all religions, said on BBC Radio there had been a rise in aggression towards those who adhered to a minority faith. "All of this has deeply disturbing echoes of the dark days of the 1930s," he said. "My parents' generation fought and died in a battle against intolerance, monstrous extremism and an inhuman attempt to exterminate the Jewish population of Europe. "That nearly 70 years later we should still be seeing such evil persecution is to me beyond all belief," he said. "We owe it to those who suffered and died so horribly not to repeat the horrors of the past." The prince's comments follow a warning from Pope Francis, who said in November that an "epidemic of animosity" against people of other races or religions was hurting the weakest in society. Europe has seen a rise in support for nationalist and populist movements in France, Italy, Britain, Poland, Hungary and elsewhere this year, driven in part by a migration crisis which has seen some 1.4 million asylum-seekers arrive in Europe since the start of last year. The number of hate crimes across the United States also spiked in the 10 days after the election victory of Donald Trump, following a campaign in which the real estate developer vowed to deport millions of unregistered immigrants and called for restricting Muslim immigration. 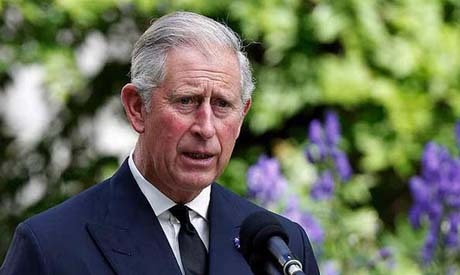 The 68-year-old Prince Charles, the eldest son of Queen Elizabeth who as a member of the British royal family is expected to stay out of politics, said the scale of religious persecution around the world was not widely appreciated. "The suffering doesn't end when they arrive seeking refuge in a foreign land," he said, in a recording for the regular religious Thought for the Day radio slot. "Nor is it limited to Christians in the troubled regions of the Middle East."